Galaga and Germany Are Calling! 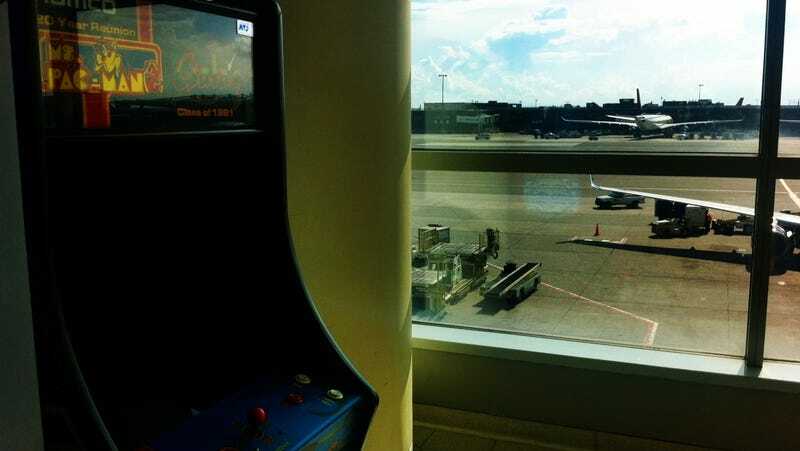 Ms. Galaga - Spotted this Galaga Ms. Pac-Man machine right outside the gate for my flight to London. The spirit of video gaming is calling me. Orangutans, it turns out, love the iPad and its games just as much as some humans do. Kotaku Presents Two New Tracks from Jonathan Coulton&apos;s Upcoming Album "Artificial Heart"
Kotaku Presents Two New Tracks from Jonathan Coulton's Upcoming Album "Artificial Heart"
In 48 hours, we'll know exactly what Valve's DOTA 2 looks like, thanks to the kick-off of a million-dollar tournament for the new game in Germany. But maybe we're looking at it right now. Being neither pirates nor attendees of the most recent Gears of War preview event, we haven't played the campaign for Gears of War 3. Toy Soldiers: Cold War is the Perfect Game for our Stupidest War. And I Can Prove it in this Video. Great wars deserve great video games. Or something.